Even if you live in a relatively small town, there is a good chance that you have at least a handful of options when you need free towing and junk car removal. National and local charities have flooded radio and web with marketing offering free towing and junk car removal and a tax deduction. There are also the traditional towing and scrap metal companies that offer free junk car towing and removal and to cash in your hand. The reality is that the vast majority of charities use these same towing and scrap metal dealers for removal and disposal. The charities then get a per car fee from the businesses, and you get a small tax deduction next April. If you want to get the most money for your junk car, you need to do a little research online to locate area businesses. Pick at least three businesses to offer to sell your junk car to. The age and condition of your car obviously determines the price paid, but there are a few general rules. 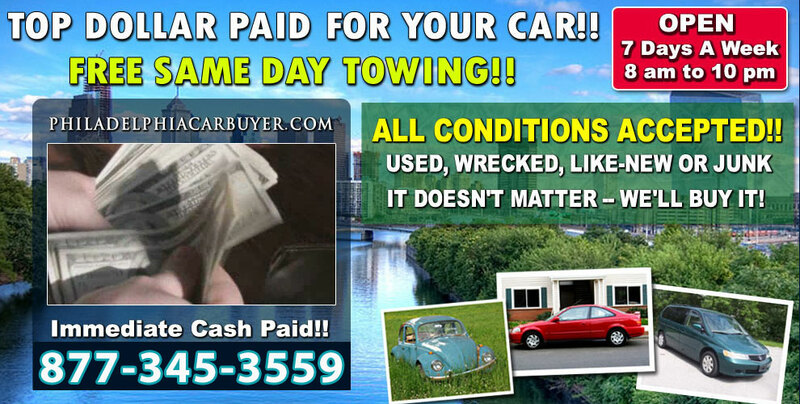 First, you should never pay for free junk car towing and removal no matter what its condition. Second, if the car still runs, you should get at least $200 and free car towing & removal. Lastly, you're never going to get Blue Book vale. These businesses have costs they need to cover, and you'll be lucky to get a third of blue book because your car is simply worth its weight in scrap steel. Free Junk Car Towing & Removal!